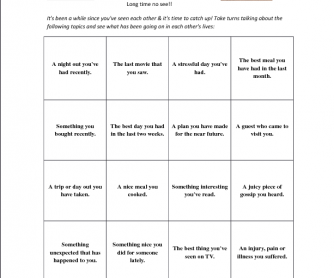 A perfect worksheet to use if you haven't seen your students in a while. Use the questions as a conversation guide. Feedback can be given when required. It could also be used as a get to know each other class. Can be done in pairs or groups. 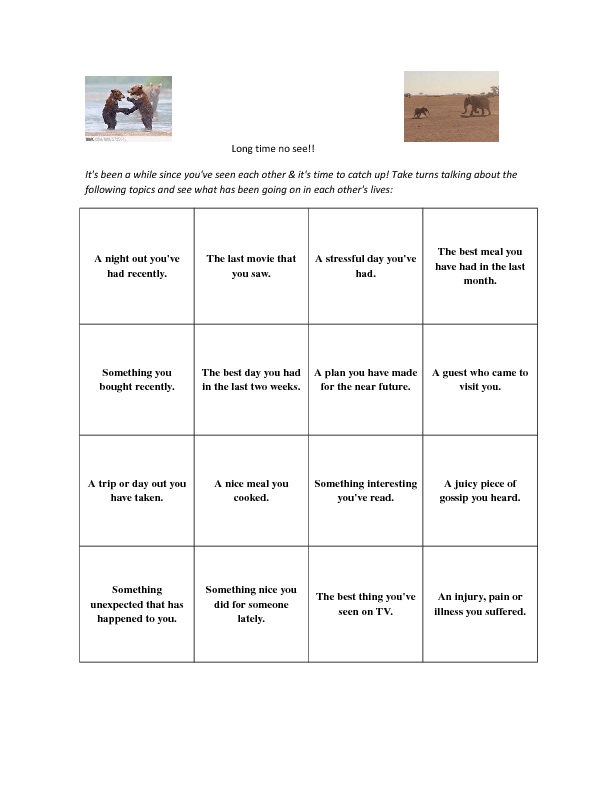 A range of grammar will be used but focusing mostlty on past simple & present perfect.